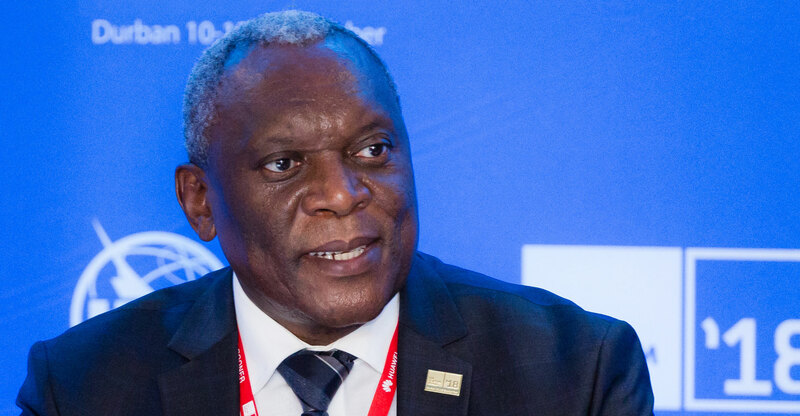 Telecommunications & postal services minister Siyabonga Cwele has strongly suggested that the South African government stands ready to intervene on MTN Group’s behalf over the more than US$10-billion (R152-billion) in demands placed on the telecommunications provider by Nigerian authorities. “We are talking to them (MTN) constantly. They are currently engaging and discussing with the authorities in Nigeria. They will tell us when they need us to intervene,” Cwele told TechCentral on Tuesday. MTN has been left reeling by a one-two sucker punch by Nigerian authorities, who are demanding that $10.1-billion in “illegally” repatriated dividends ($8.1-billion) and “unpaid” back taxes ($2-billion) be returned to the troubled West African nation. Nigeria is MTN’s biggest market by subscribers, but the group has run into serious problems with regulators in recent years that have led to a collapse in its share price. In the strongest comments on the situation yet by a South African political leader, Cwele cautioned that “we don’t think companies have this huge amount of cash”. Cwele did not say what measures the South African government might take if asked to intervene on MTN’s behalf. MTN has strongly denied accusations that it illegally repatriated dividends from Nigeria or that it owes $2-billion in back taxes. The group’s investors are scurrying for the exit, though, with its share price losing more than a third of its value since the Nigerian central bank demanded that four banks facilitate the return of the $8.1-billion of dividends taken out of the country between 2007 and 2015. The developments have put MTN’s plans to float on the stock exchange in Lagos in jeopardy. The listing plan was part of an earlier agreement the group had reached to reduce a $5.2-billion fine after it failed to disconnect more than five million unregistered Sim cards under Nigeria’s equivalent of South Africa’s Rica legislation. MTN still had to cough up over $1-billion in penalties, making it one of the biggest regulatory fines ever imposed anywhere in the world.